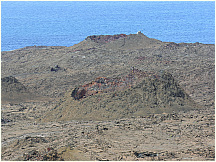 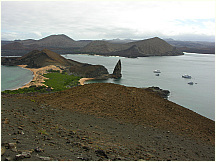 26 Free photos of Bartholomew Island (Isla Bartolomé), in the Galapagos Islands, Ecuador. 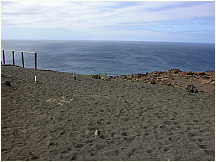 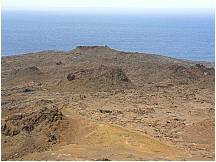 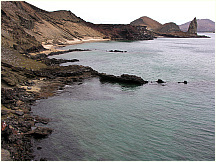 Named for Lt. David Bartholomew of the British Navy, this small island is located just east of Santiago Island. 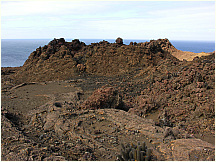 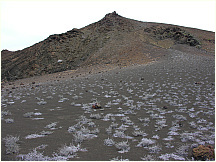 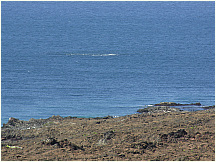 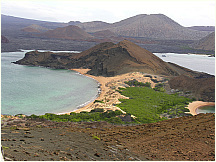 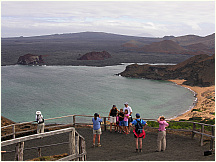 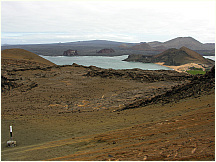 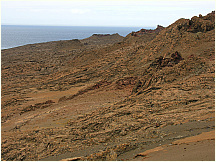 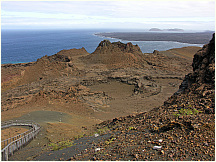 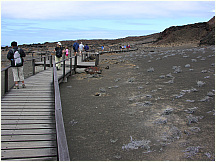 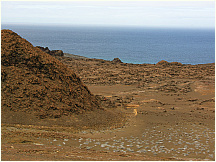 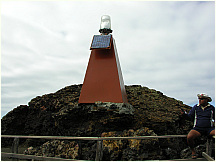 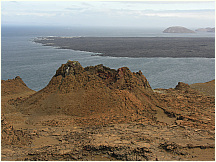 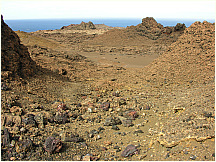 Desolate Isla Bartolomé is one of the most visited and photographed islands in the Galápagos. 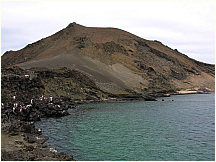 Bartolomé is an extinct volcano and has a variety of variably colored volcanic formations, including a tuff cone known as Pinnacle Rock. 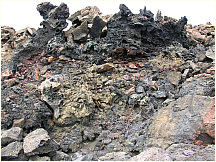 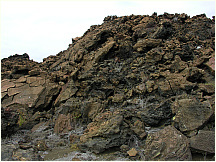 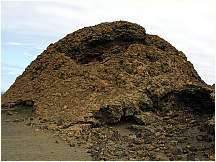 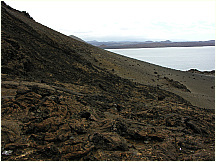 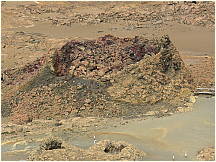 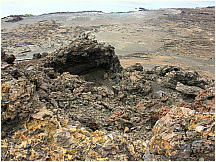 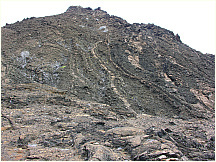 This large black partially eroded cone was created when lava reached the sea. 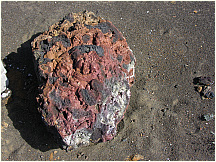 Contact with seawater resulted in a phreatic explosion. 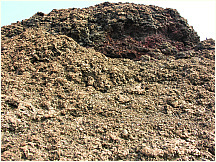 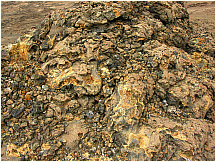 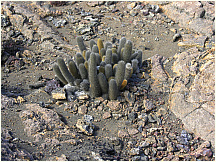 The exploded molten fragments fused together forming a welded tuff. 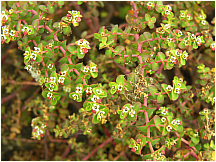 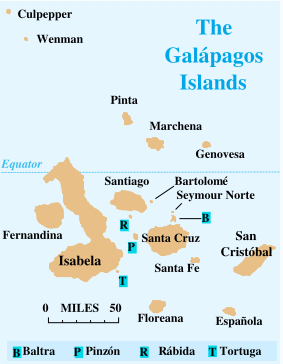 Isla Bartolomé is inhabited by Galápagos Penguins, sea lions, nesting marine turtles, white-tipped reef sharks and a variety of birds. 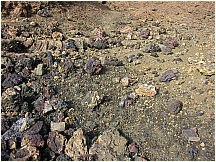 Sally Lightfoot Crabs in the sun on the lava rocks. 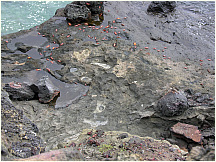 These crabs can jump from rock to rock and move rapidly.